St Cuthbert's Way - Links. SCSuport Ltd has several interests relating to long distance walking, this spanning the design & maintenance of route websites, guiding of walks, planning and booking of walking holidays. The former related to portal websites is done under the name of I-Net Support and below are a series of other routes that we promote on the web. The latter, related to guiding, planning and booking is done through Walking Support. We also offer baggage transfers support directly on the Borders Abbeys Way and indirectly on all other Ways that we support. Walkers may want to contact us regarding this walk or any of the others detailed below. 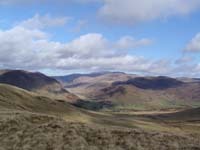 We now also support a number of one or two day walks and these are detailed on the Walking Support website. SCSupport, while being fully committed to the ongoing development of the St Cuthbert's Way Walk, was actively much more involved in the development of the long distance walking route between Drymen and Pitlochry. The Rob Roy Way was opened in 2002. This development was both in terms of the walking route and the setting up of a website similar in structure to this website. We would encourage visitors to also visit the www.robroyway.com so that you can plan your next walk following your excursion on the St Cuthbert's Way. Since the summer of 2002 we have also established a website full of walking instruction and interest on the then recently opened Scottish Natural Heritage route the Great Glen Way. The site set up by I-NetSupport has all the usual information sections and an accommodation and service provisions section that continues to expand. If however the walker cannot find all they need Walking Support can offer a complete planning, booking and guiding service on this and many other routes. This routes was developed and opened in 2005. Enjoy a totally different walking experience that has few hills to climb and is rarely far from a community village or town. But add in the facinating history, the heritage and some outstanding coastal views and you begin to understand the enjoyment of this route. 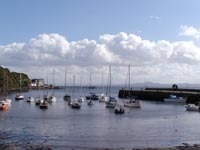 Visit www.fifecoastalpath.net so that you can plan a future walk following your excursion on the St Cuthbert's Way. This is a further walk that is being promoted by I-NetSupport and was launched in the spring of 2003. This is a 92 mile route going past Abbotsford, the home of the great writer Sir Walter Scott. The route passes through Scottish Border Countryside that was the inspiration for many of Sir Walter Scott's greatest poems and novels. This route makes no apology for being almost entirely on the line of the eastern section of the Southern Upland Way (SUW). It is thought that it has opened up this part of the SUW to walkers that would not have contemplated walking the whole of the route, and has encouraged them to enjoy the eastern section then return at a later time to tackle the western section. This Way meets with the St Cuthbert's Way at Melrose as it continues north and east towards the Berwickshire coast. We would encourage visitors to also visit www.sirwalterscottway.com so that you can plan your next walk following your experience on the St Cuthbert's Way. This was added to the websites that I-NetSupport manage in 2003. The Roman Heritage Way offers two possible starting point with the latter four days being common to both. This Way meets with the St Cuthbert's Way at St Boswells for its final journey into Melrose. We would encourage visitors to also visit www.romanheritageway.com so that you can plan your next walk following your experience on the St Cuthbert's Way. This is another route to be added to the websites that I-NetSupport manage. The Borders Abbeys Way offers a circular route of generally five days walking in the varied and beautiful setting of the Scottish Borders. This route is 65 miles / 105 Km in length and full of varying terrain from the river bank walks of the Teviot and Tweed to the hills around Jedburgh, Hawick, Selkirk and the Eildons. 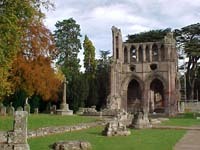 Walk throught the historic Border communities of Jedburgh, Hawick, Selkirk, Melrose and Kelso and marvel at the ruined Abbeys of Dryburgh, Kelso, Jedburgh and Melrose. We would encourage visitors to also visit www.bordersabbeysway.com so that you can plan a further long distance walk following your experience on the St Cuthbert's Way. This was added to the websites that I-NetSupport manage in 2006. The Weardale Way has been in existence for several year but 2006 saw some re-alignment and extensions to this interesting route. 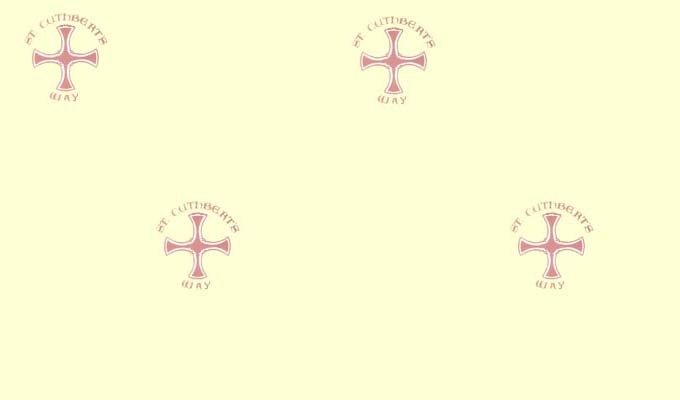 This Way starts from the Bede's Memorial Cross that commemorates St Cuthbert and the Lindisfarne Monks and heads east from the North Sea Coast through the World Heritage Site of Durham to finish in the North Pennines in an Area of Natural Outstanding Beauty. We would encourage visitors to also visit www.weardaleway.com so that you can consider it as your next walk following your experience on the St Cuthbert's Way. This is a further route to be added to the websites that I-NetSupport manage. The St Oswald's Way offers a route that connects two other of our featured routes, namely the St Cuthbert's Way and the Roman Heritage Way / Hadrian's Wall Path. This route is 97 miles / 155 Km in length and opens up the wonderful scenery of Northumberland, from the coastal Area of Outstanding Natural Beauty to the charming Coquet River and them on to the World Heritage site of Hadrian's Wall. This is a route steeped in history from a time just a matter of a few decades before that associate with St Cuthbert's Way. St Oswald was the King of Northmbria and he invited St Aidan to set up the Christian community on the Holy Island. St Cuthbert was inspired by the work of St Aidan and following a time at Old Melrose he followed in St Aidan's footsteps and become Abbot of Lindisfarne. We would encourage visitors to also visit www.stoswaldsway.co.uk so that you can plan a further long distance walk following your experience on the St Cuthbert's Way. This was added to the websites that I-NetSupport manage in 2008. The Trail has been in existance for several years and has recently benefitted from some route enhancements reducing the road walking and introducing some great new scenery. The Cateran Trail acknowledged as the first Scottish Circular Long Distance walking route this 65 mile (104 Km) route has much to recommend it to the outdoor enthusiast. 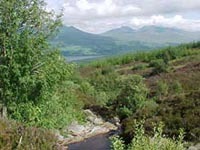 Situated in the heart of Scotland straddling Highland Perthshire and part of the Angus Glens. 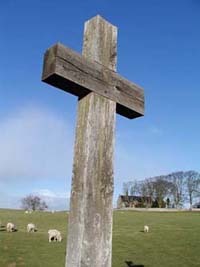 We would encourage visitors to also visit www.walkthecaterantrail.com so that you can consider it as another choice of walk following their experience on the St Cuthbert's Way. Through the support of the Scottish Pilgrim Routes Forum and three of its volunteer steering groups Walking Support and I-Net Support have been able to set up website for the Three Saints Way, the Whithorn Way and the Forth to Farne Way. 2018 should see enhancements on the ground and also in the amount of content on their respective route websites. Through Walking Support and I-Net Support we can only cover a limit number of route. The LDWA, a membership organisation can provide UK wide data.